Spend a month or enjoy the entire winter at Pioneer Village RV Resort. Our RV park in North Fort Myers provides the perfect place to stay and play in a charming community surrounded by beautiful beaches and great attractions. Water lovers will celebrate our location just 25 minutes from award winning Gulf beaches and Sanibel and Captiva Islands. Got a pooch? Pioneer Village RV Resort is pet-friendly and features its own dog park so your four-legged companion won't have to miss you while you're visiting us. Ready for fun? If you're looking for activities and plenty to do, we have our own Social Committee that will ensure you have as much fun as possible! 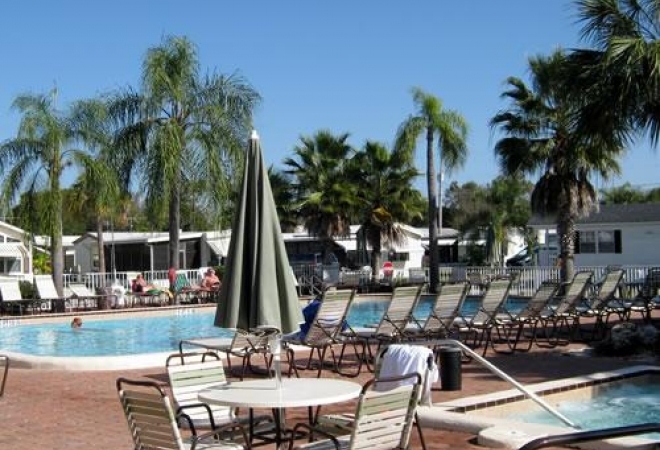 At this Florida RV park, guests can leave the planning to us! We provide weekend breakfasts, lunches and dinners all scheduled in advance. Join us at Pioneer Village RV Resort for your next Florida adventure.